Sip. Sample. Pair. Isthmus is excited to introduce Isthmus Uncorked, Madison's first annual wine and food cart festival. On May 18, we're bringing 30 local and national wineries to McPike Park (formerly Central Park). This fest replaces Isthmus Food Cart Fest. Tickets are $50.00 and include a custom sampling glass for unlimited 2-ounce pours of whites, reds and more from any of the wineries present. But will there be food? Of course. 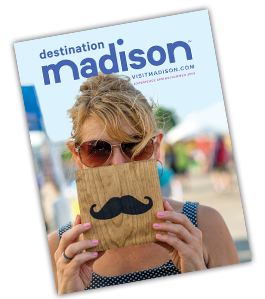 Some of Madison's best food carts will be there with delicious dishes available for purchase. What about tunes? For sure. Merchant and other restaurants to be announced are doing pairing classes including 3 sample courses every 30 minutes during the fest. Purchase your pairing class tickets for an additional $15 at checkout.